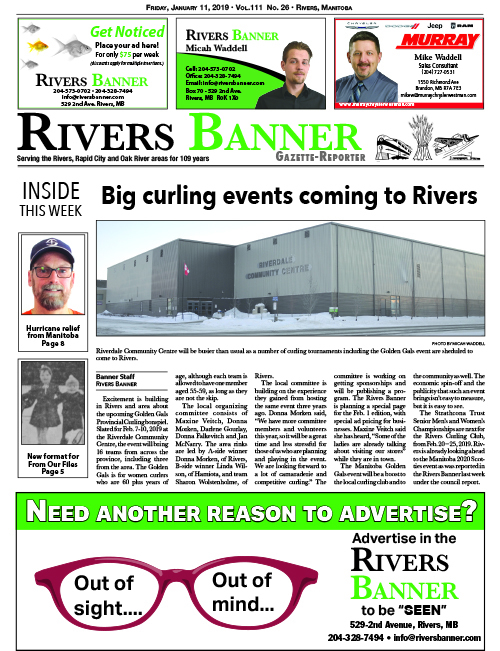 This week, read about the upcoming curling events at RCC, the ongoing turkey survey put on by the Rivers and Area Game and Fish Association and see the new version of from our files now called looking back. 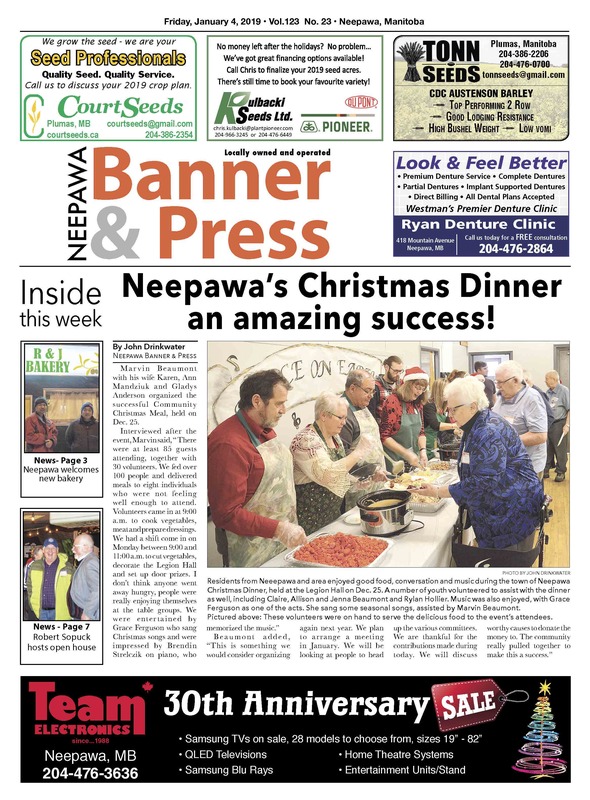 Get the latest news online with the Neepawa Banner & Press! Click the front page image at the bottom to see the pages from this week or take a look at the booklet below to flip through the whole paper. 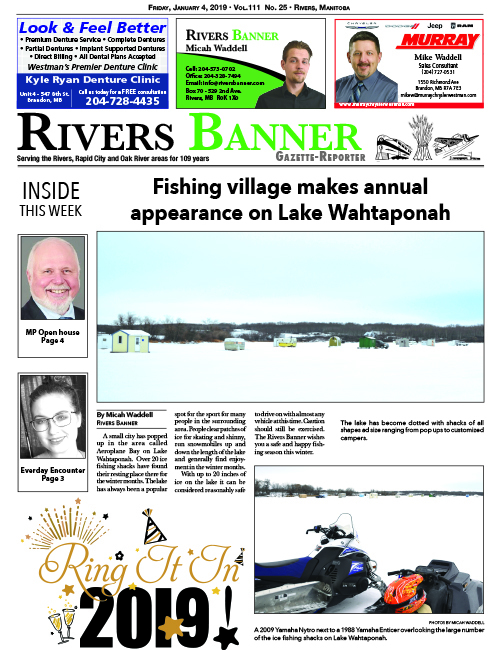 This week, read about the holiday happenings over the Christmas break, the report on the year end Town Council meeting, a new bakery in Neepawa and much more! Don't forget to pick up the hard copy of the Banner & Press so you don't miss out on some great deals in the flyers! 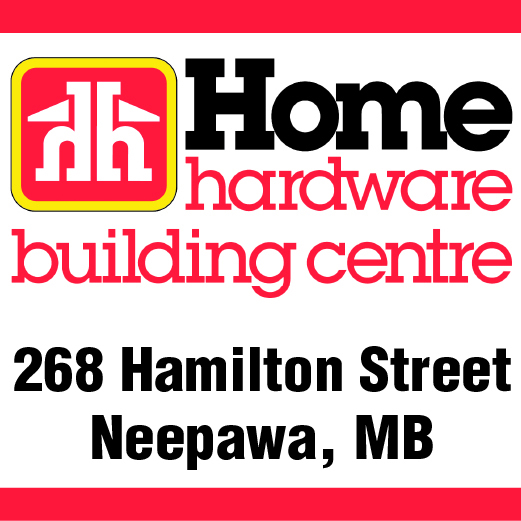 In this week's, you can find Home Hardware, Giant Tiger, Peavey Mart, Princess Auto and the Brick, depending on where you pick up your paper. 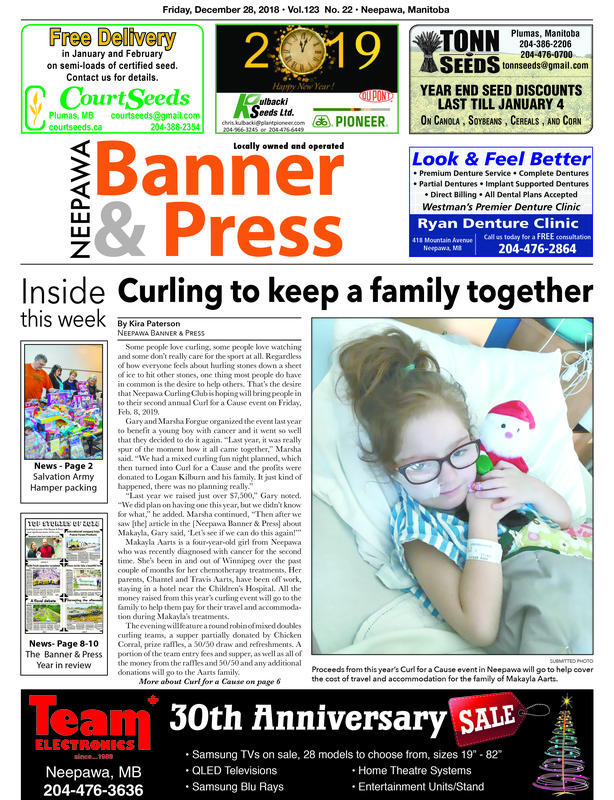 Get the latest news online with the Neepawa Banner & Press! Click the front page image at the bottom to read our news section for this week or take a look at the booklet below to flip through the whole paper. This week, read about the curling event planned to benefit a young girl with cancer, see what holiday magic has been going on around the area, take a look back at our top stories of 2018, try some great New Year's recipes and much more! Don't forget to pick up the hard copy of the Banner & Press so you don't miss out on some great deals in the flyers! In this week's, you can find Giant Tiger, the Brick and Harris Pharmacy, depending on where you pick up your paper. On Dec. 27, 2018, at approximately 5:20 am, Neepawa RCMP responded to a report of a two-vehicle collision on Highway 16, between Hwy 352 and Road 74 North, between Gladsone and Neepawa.